Ahh, espresso! So rich, so creamy, so… Why do people always call it “EXpresso?” No matter. First off, let’s get one thing straight: espresso is not a roasting method, but the method of preparation in which highly-pressurized hot water is forced over coffee grounds to produce a very concentrated coffee drink with a deep, robust flavor. Espresso, and the machines that make it have a rich history. 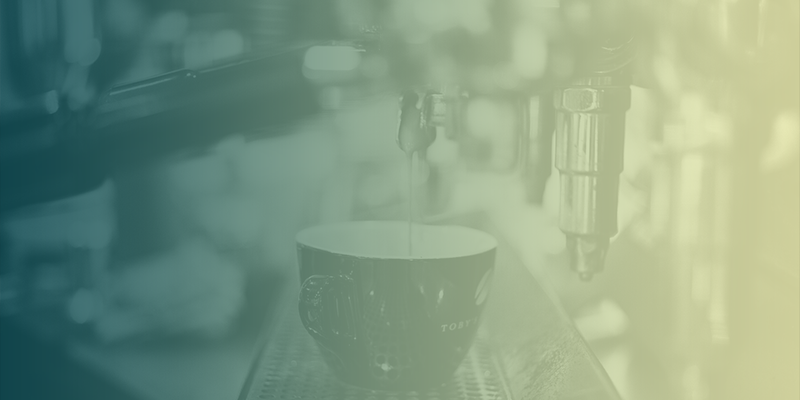 In 1884, long before the Grande Java Chip Frappuccino was invented, one Angelo Moriondo of Turin, Italy was granted a patent for “new steam machinery for the economic and instantaneous confection of coffee beverage” and thus was born the espresso machine. 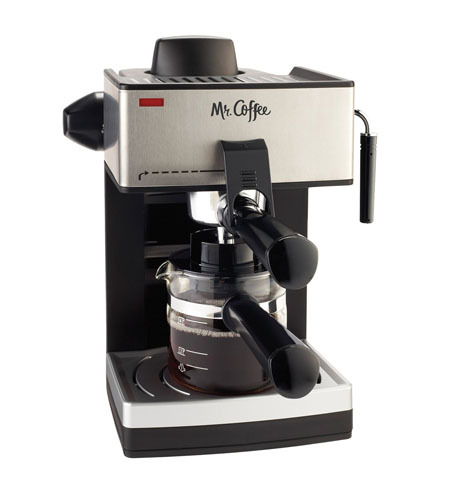 In 2017, there are many expre… espresso machines on the market. If you’re looking at price as much as quality, here are five espresso makers that are not too shabby and affordable and can be found on a small, obscure website called “Amazon .” None costs more than $100. 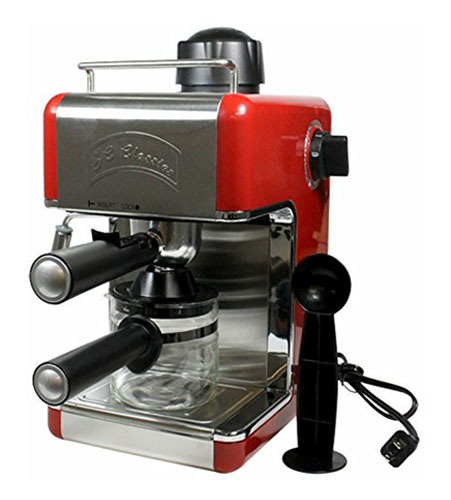 “Where have you gone, Joe DiMaggio a/k/a/ Mr. Coffee?” Well, he’s right here in the shape of a solid, if unspectacular espresso machine. A three-star rated machine, it outperforms “Joltin’ Joe” who only had one star (Marilyn Monroe). At $29.95, you won’t get an All-Star but a reliable .245 hitter. This little Bella beauty claims to have “5 Bars of Pressure.” Not sure what that means, but it kinda sounds like a 1980’s Chinese martial arts movie. It’s rated a 3.5-star machine, so it should fit the bill. For awhile. 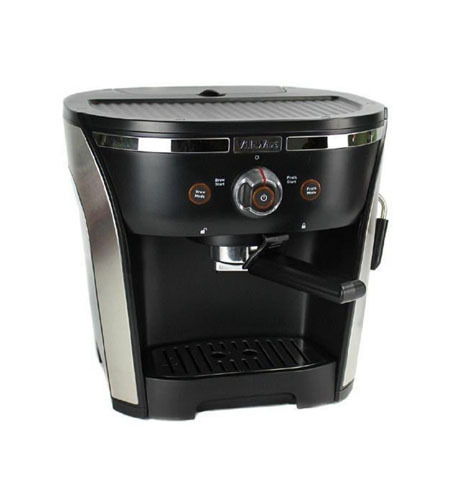 Built-in steam wand gives you the option to froth and steam milk so you can prepare your very own cappuccinos, lattes, and macchiatos from your own home (frothing cup not included). Easy-pour glass decanter is marked to take the guess work out of how much water to use. Espresso scoop included serving the perfect amount every time. The machine works great when used correctly, and it’s only $40?? Don’t let the bad reviews stop you. Until you get into units costing $100 or more, espresso at this price is going to be the same. Not exactly a glowing review, but if money is an issue, you could do worse. Made by the Swiss company Jura, this plucky guy has taken a beating with Amazon reviews. But hey, it makes four cups! And it… It won’t explode and spray you with hot molten espresso. Okay, so maybe Mr. Ludi owns a lot of stock in the company, but that doesn’t mean he can’t be objective! C’mon! Now we’re getting to the better 4-star machines. And they’re still affordable. Like this Villaware Espresso/Cappuccino one. You can tell they take their product seriously just by the way they misspell ‘cappuccino.’ This baby’s got 15-bar pressure. Still not sure what that means, but it seems to make an exceptional espresso. We LOVE this machine. It produces a great crema (on the coffee) and froth (on milk). It is pretty easy to use and gets “ready” really fast. We bought this machine to replace a Gaggia when its pump went out, and we didn’t know if we would be happy with a much less expensive and simpler machine. 5. Bene Casa BC-99148 4-Cup Espresso Maker with Frother, Red. Okay, now we’re heading past the $70 mark, and maybe you’re saying, “Hey, you said these expresso makers were cheap!” Well, true, but “cheap” is relative, and believe you me, I have some cheap parents. 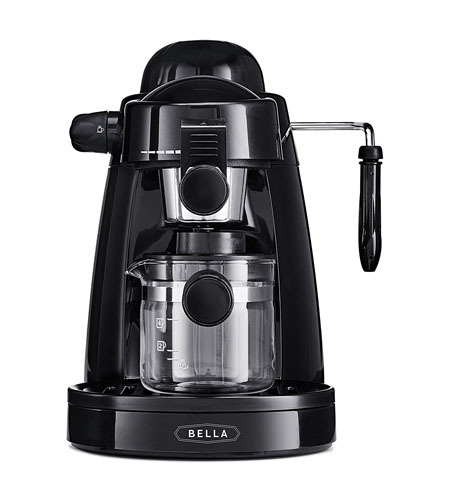 But 72.95 is well worth it because this Bene Casa machine gets excellent ratings. Okay, only two people have reviewed it, but they both gave it five stars! “Wow. Hubby got me this for my birthday. I love Cuban coffee, even being a country girl from WV. First cup and every cup since delicious and perfect. This isn’t just for Cuban coffee. That’s just my fav. OMG! Even though she’s a country girl from West Virginia, she loves Cuban coffee. Can she be indicted for aiding and abetting that Communist regime? Anyway, this machine seems to be worth the money. And it’s red! 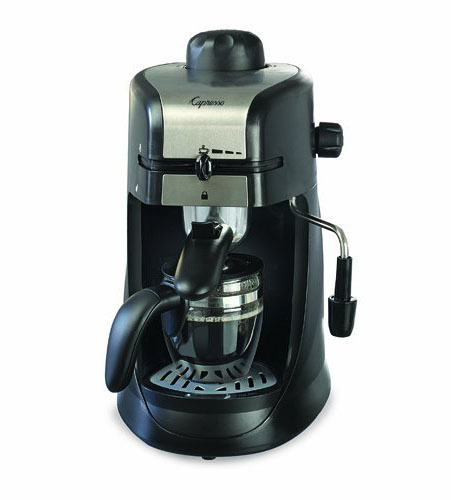 No matter which expres… Espresso machine you choose, the chances are good that you’ll get what you pay for. So, if that Mr. Coffee machine conks out after six months, you have nothing to complain about. And don’t go looking for me.